Lakeland Civil Litigation Attorney - Lawyer, Providing Professional Civil Litigation Attorney legal services for Lakeland, Winter Haven, Bartow, Polk County, and the surrounding Central Florida area. 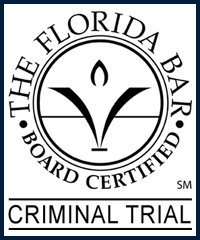 Call 863.660.2185 to Speak with Lakeland Civil Litigation Attorney / Lawyer, Joshua E. Schoen. The Law Offices of Joshua E. Schoen, P.A., provides legal representation in all types of difference civil litigation matters. Our representation is competent, cost-effective and aggressive. Each civil litigation attorney, lawyer, and staff member in our law firm are ready to assist you in even the most difficult of legal challenges you may be facing. We will aggressively represent your legal needs, interests, and goals regarding your civil litigation issues. Protect your rights by seeking the legal advice and representation of an experienced Lakeland Civil Litigation Attorney / Lawyer. Contact Lakeland Civil Litigation Attorney / Lawyer Joshua E. Schoen at 863.660.2185 in the Lakeland, Winter Haven, Bartow, Polk County, and the surrounding Central Florida area.